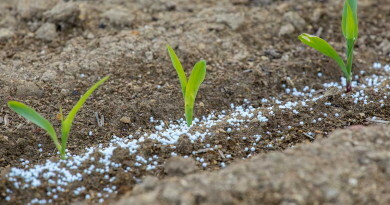 Fertilizer Manufacturers Pakistan Advisory Council (FMPAC) said government can save precious foreign exchange on account of urea import if it provides gas to local fertilizer manufacturer plants. 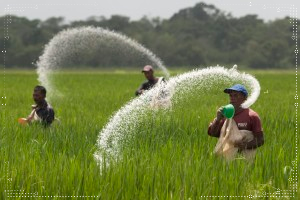 Urea import is no permanent solution of rising urea demand by local fertilizer sector and best way to ensure less expensive and timely availability of urea to farmers is to produce it locally. FMPAC spokesman said here on Thursday that few fertilizer plants were completely shutdown due to closure of gas as part of winter gas load management plan by the government but there was no shortage of urea in the market. Spokesman demanded if any vested interest was found involved in hoarding, government should take stern action against them to ensure timely availability of urea to farmers at the prescribed rates. FMPAC sources said “our economy is not in a position to drain precious foreign exchange on unnecessary urea import while we can produce it locally at relatively cheaper cost. The devaluation in rupee’s value and appreciation in dollar’s value has already made it an expensive affair.” Country faced massive loss in urea production due to excessive gas curtailment in the past three years that has cost significantly to the country as GoP had to spend foreign exchange of US $1.5 billion and subsidy of around Rs 80 billion on the imports of 3.4 million tons during 2010-12. Pakistan is self-sufficient in urea production and with consistent gas supply to these plants, government can ensure timely availability of this key farm input to farmers at the cost-effective rates and would also help GoP to reduce its fiscal deficit as well as subsidy spend.